It’s ‘Kampai! 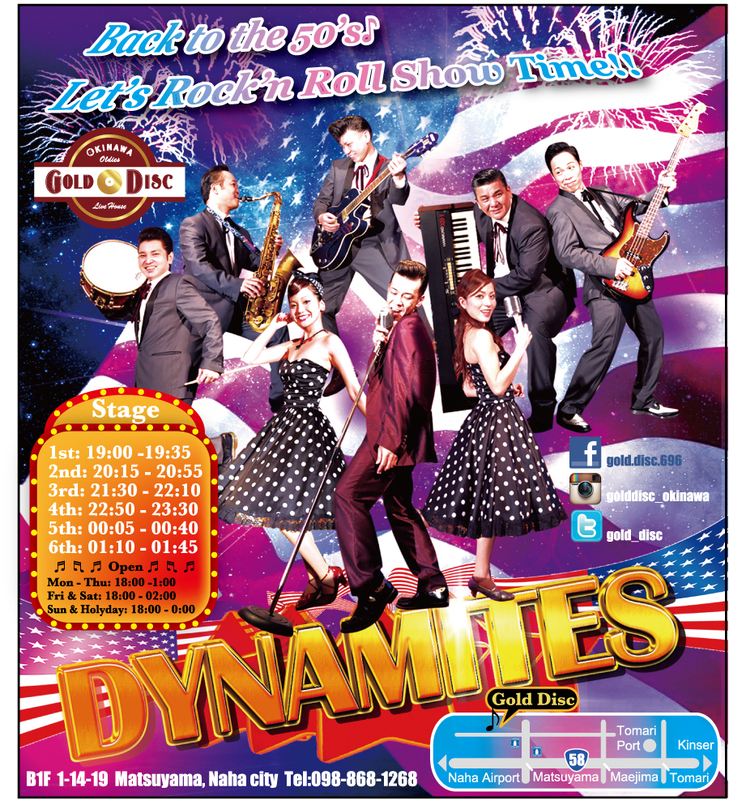 time’ this weekend at Seamen’s Club in Naha. 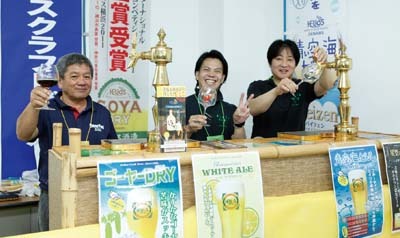 Anyone who is complaining that beers in Japan are but same bland-tasting lager that any of the four huge Japanese breweries make, should head this weekend to the Seamen’s Club near the Naha Airport where organizers of the BeerFes Okinawa 2016 are assembling a selection of 60 craft beers from 33 breweries. The suds will be served from taps and bottles at the stalls lined up inside the Seamen’s Club from 13:00 to 21:00 on Saturday, and noon to 17:00 on Sunday. Last call is 15 minutes before closing both days. The Seamen’s Club will sell soft drinks and appropriate snack food at the event including Mini Texas Burger, Cheeseburger, Hamburger, Fish Burger, Grilled Chicken Sandwich, Tonkatsu, Bratwurst, Soba, and Creamy Chicken Tortilla Soup. Tickets in advance are ¥2,700, available until Friday at Lawson and FamilyMart ticket vending machines. Tickets at the door are ¥2,900. The fee includes 10 beer coupons, each for an 85cc beer of your choice, and an aroma glass for tasting. Extra tickets are sold at the venue for ¥400/2 tickets. The beer tickets are valid only for beer purchases on the day printed on the ticket, and can’t be used inside the Seamen’s Club. ¥2,700 ticket buys 10 beer coupons. More than 1,500 beer enthusiasts are expected to flock to the Seamen’s Club to sample the beers, so organizers advice everybody to ‘plan to start early’. 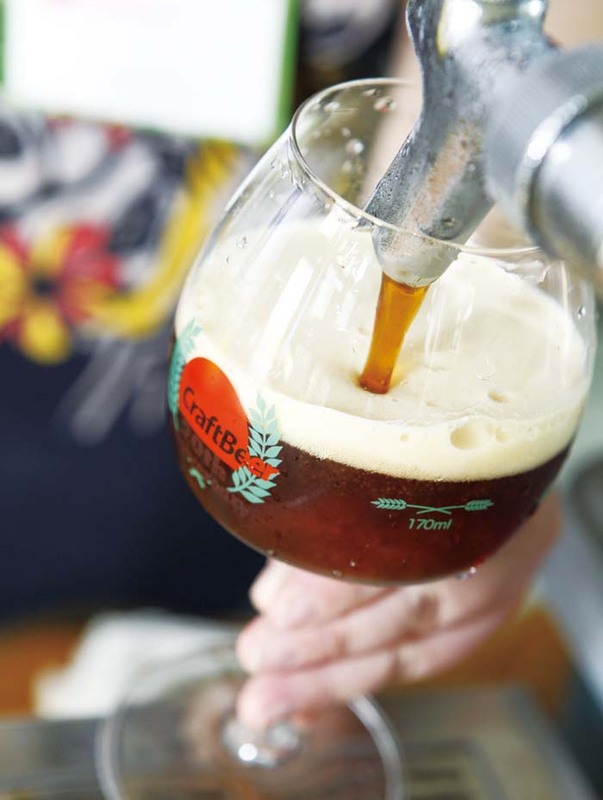 The first 250 visitors to show up and participate will receive a specially designed aroma glass with “Okinawa 2016” logo, just for tasting the beers. The rest will get the aroma glass without the logo. The even is organized by the Great Japan Beer Festival Okinawa 2016 Executive Committee and co-hosted by the Craft Beer Association and Helios Distillery Co., Ltd.
Other Great Japan Beer Festivals are being staged around the country, including Tokyo, Yokohama, Osaka, and Nagoya. Details on events in those cities are available on the website. Breweries participating in the Great Japan Beer Festival this weekend come from north to south, Hokkaido to Okinawa.